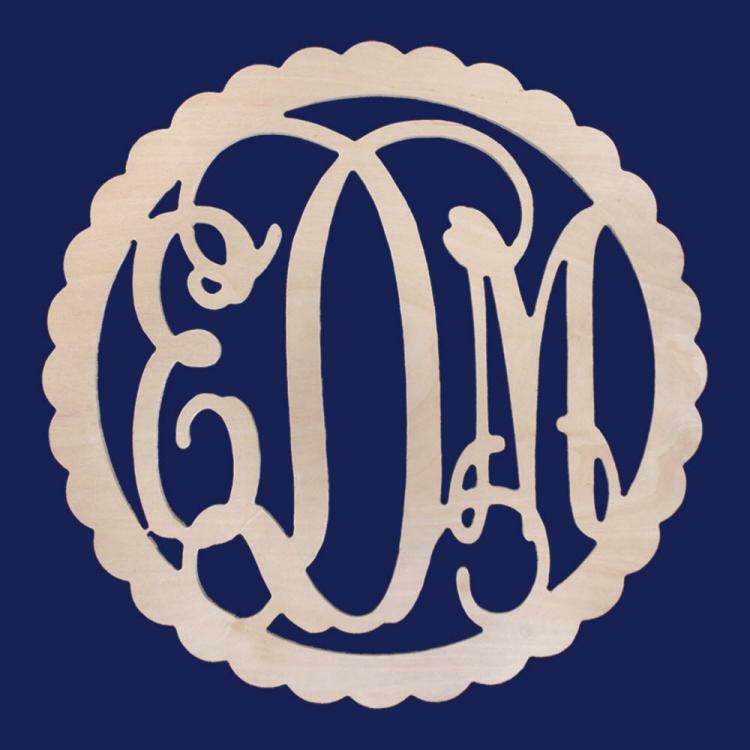 Help spruce up any room of your home with this 22 inch scallop wood monogram. It is unfinished birchwood so you can paint it to match any color scheme. You can also use it outside as a door hanger or with a wreath. Price: $51.00 In stock! - Browse this brandOur products are custom made to your specifications. This product ships up to 1 weeks after your order is placed.